After just over fifteen years in planning the Lonsdale Golf Club has embarked on a major redevelopment of its course. The original Lonsdale course was built over undulating sandy ground on the Bellarine Peninsula but it was compromised by alterations forced by encroaching roads and houses. Eventually the club sold off the four holes closest to the town and acquired some farmland on the club’s far boundary. 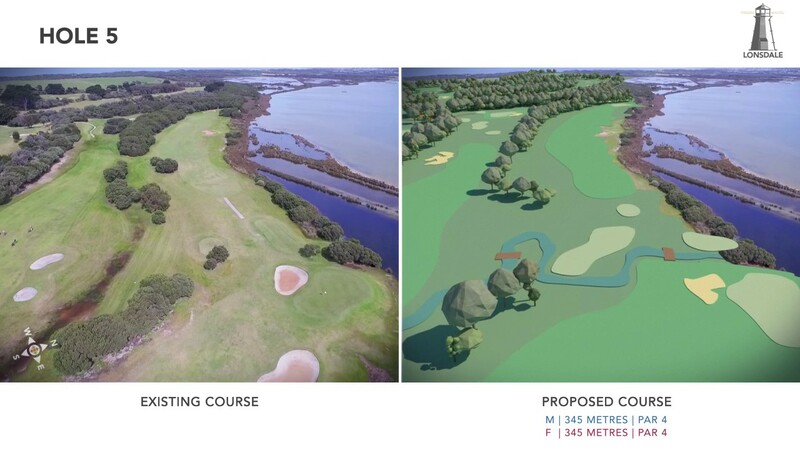 Whilst the new course will be quite short, in the fashion of great courses including Swinley Forest and New Zealand GC in London, it will be filled with first–class holes. Being by the sea, the wind will also be a constant influence on the golf and like Port Fairy we hope there will be a great course to match a beautiful beach-side town.